Spent nuclear fuel (SNF) or used nuclear fuel is fuel that has been irradiated in a nuclear power reactor at a nuclear power plant. Spent nuclear fuel contains plutonium, uranium or even thorium that has been permanently withdrawn from the nuclear reactor. There are many different types of spent nuclear fuel that are stored worldwide today. Some of the categories of SNF include materials production fuels, naval nuclear propulsion fuel, research reactor fuel, specialty fuel and the most common - commercial nuclear power reactor fuels. Spent nuclear fuel is generally stored either in spent fuel pools or in dry casks. At present, most spent nuclear fuel is stored in spent fuel pools at individual nuclear reactor sites. Dry cask storage is gaining popularity in recent years, particularly after the Fukushima nuclear disaster of 2011. In dry cask storage, spent nuclear fuel assemblies are generally placed in canisters that have a heavy shielding around them. The shield has vents that allow air to flow through the canister wall in order to cool the fool. Aruvian Research analyzes the global market for nuclear spent fuel in its research offering Global Market for Nuclear Spent Fuel – Focus on Dry Storage 2018. The report primarily focuses on the dry storage of spent nuclear fuel in casks. The report analyzes the major markets globally for nuclear spent fuel storage sector. Aruvian’s report on the Global Market for Nuclear Fuel - Focus on Dry Storage begins with an overview of the global nuclear power market through an industry overview, industry statistics, industry volume and value analysis, along with an analysis of nuclear power in key regions of Asia Pacific, Europe, Middle East & Africa and North & South America. We also carry out a Porter’s Five Forces Strategy Analysis on the Global Nuclear Power Industry. Moving to the analysis of nuclear spent fuel market, we begin the section with an industry definition and report coverage. Basics of nuclear spent fuel are looked at, along with the characteristics of spent nuclear fuel. Composition, heat generation and radioactivity of SNF are analyzed. Risks from SNF, monitoring of spent fuel, future issues with SNF and transportation of SNF are also analyzed in the report. Moving on the handling and storage of spent nuclear fuel, we analyze the technologies of spent fuel pools and dry cask storage. Types of dry cask storage and the storage of high level waste are also looked at. The geological disposal of spent nuclear fuel is also analyzed by key markets of US, Canada, France, Japan, Sweden & Finland and Switzerland. An overview of spent nuclear fuel pools is included in the report, along with a look at processing of spent nuclear fuel. Regulatory framework, PUREX process for reprocessing and the phenomenon of importing spent nuclear fuel for disposal are analyzed in the report. Since the focus of this research report is on the global market for nuclear spent fuel storage in Dry Casks, we analyze the industry through an industry overview, advantages of dry cask storage, worldwide storage capacity of casks, the market for spent fuel storage casks by demand and revenues (in USD Million), as well as an industry segmentation. Global industry statistics of discharged nuclear fuel assemblies are analyzed in the report. A cost analysis of the global market for nuclear spent fuel storage in dry casks is carried out in the report. Impacts on the global market for nuclear spent fuel storage in dry casks are looked at. Impacts analyzed include key regulations and policies, industry growth drivers and challenges facing the sector. We analyze the key regions for global nuclear spent fuel storage in dry casks. Regions analyzed include Asia Pacific, Europe and North America. Each region is analyzed through an industry overview, statistics on discharged fuel assemblies and the market analysis by demand and revenues. The market is analyzed from 2002 till 2020. Forecast for each region is also included in the analysis. Key markets analyzed in the report include Canada, China, France, Germany, Japan, Russia, South Korea, Ukraine, United Kingdom and the United States.  Each market is analyzed through an industry overview, statistics on discharged fuel assemblies and the market analysis by demand and revenues. The market is analyzed from 2006 till 2025. Forecast for each country is also included in the analysis. Competition in the industry along with an analysis of the key players is carried out through a business profile, products & services analysis, financial analysis and a SWOT analysis. Major industry players analyzed include Areva SA, Hitachi Zosen Corporation, Holtec International Inc., Mitsubishi Heavy Industries, Transnuclear Inc., British Nuclear Fuels, GNS Gesellschaft fur Nuklear-Service mbH, NAC International and OCL Corporation. With nearly 100 tables and figures, this report on the Global Market for Nuclear Spent Fuel – Focus on Dry Storage is a complete coverage of this market with data coverage from the year 2006 till 2025.